Following the breakout success of Atlanta, Donald Glover is getting a chance to dip his creative toe into the superhero pool. 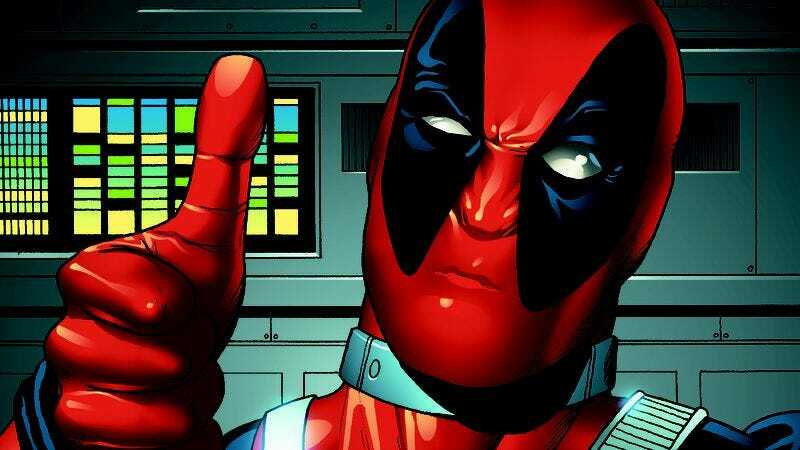 In a press release sent out earlier this morning, FXX announced that it is partnering with Marvel Television for Marvel’s Deadpool, an adult animated action-adventure series based on the foul-mouthed, bisexual X-Men adjacent mercenary. The series will be executive produced and written by Donald Glover and his brother/writing partner Stephen Glover, who previously worked together on the critically-acclaimed Atlanta for FX. The duo will also serve as showrunners, with Marvel’s Jeph Loeb and Jim Chory joining them as executive producers. “Donald Glover is an incredibly gifted and versatile artist who’ll bring the untitled Marvel’s Deadpool series to life with the same intense, singular vision as his breakout hit Atlanta,” FX original programming president Nick Grad says in a statement. “With the success of Legion, we’re looking forward to again partnering with Marvel Television to create a series that is bold, striking and entirely original.” In other words, this project sounds like it’s going to be A.V. Club catnip. FXX has placed a 10-episode season order for Marvel’s Deadpool, which is due out sometime in 2018.